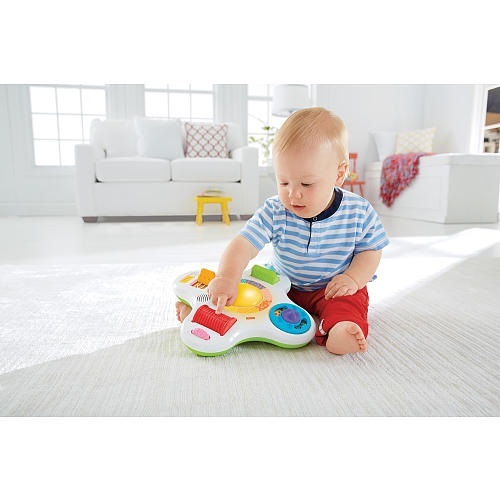 Lots of hands-on activities with three levels of play that grow with baby! 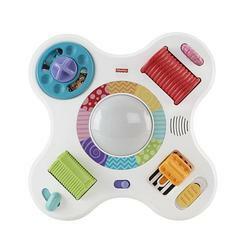 Baby activates music, fun sounds and bright, colourful lights through hands-on activity play! 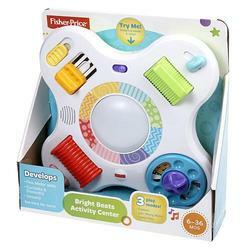 Three different levels of play grow with baby, from Level 1 Explore, to Level 2 Jam-Along Music, to Level 3 Game Play. Baby can spin, twist, turn and slide switches, dials and rollers for fun rewards, including lights, music and fun clicking and ratchet sounds.